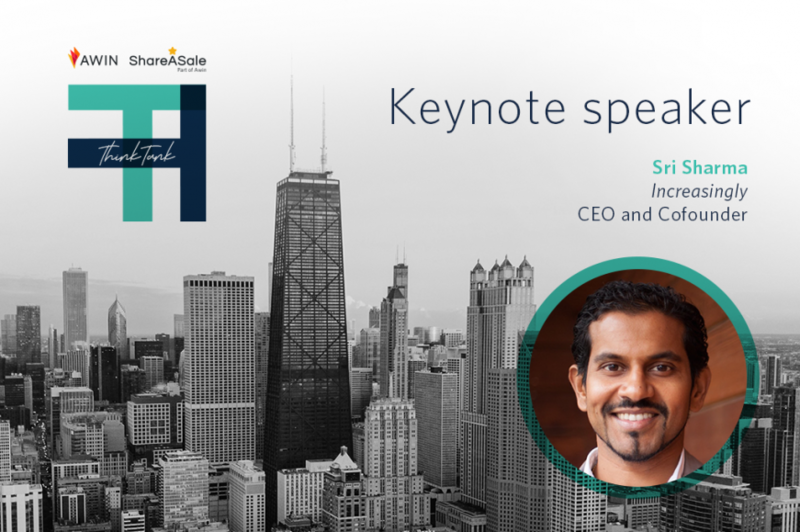 We are thrilled to announce Sri Sharma, CEO and Cofounder of Increasingly, is giving the keynote address at this year’s ThinkTank. As a keynote speaker, Sri has been had by audiences across the globe and has presented to over 1 million people so far, including audiences at Google across Europe and Baidu in China. Sri has also founded and sold two digital marketing technology businesses. He has won National Business Awards’ highly commended Entrepreneur of the Year, Sunday Times Tech Track 100 and Deloitte Tech Fast 50. Most recently, he won a Google awarded scholarship to study AI and futuristic technology at NASA. Titled ‘The Future of Retail,’ Sri’s ThinkTank keynote presentation will discuss how consumers will shop in the future, where AI, Voice, and AR and Robotics will play a huge role. Whether you’re an advertiser, agency, publisher or blogger, uncover the hidden gems of opportunity for affiliate revenue. This is one event you won’t want to miss. Apply to attend ThinkTank 2019 today!